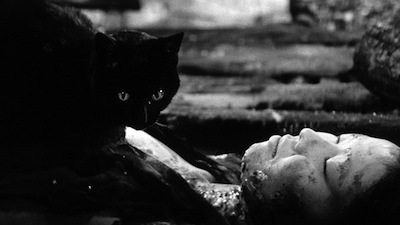 Last year I was fortunate enough to see Kuroneko during its brief theatrical run, and ever since, I have been eagerly awaiting its home video release so I could watch this unsettling ghost story again. 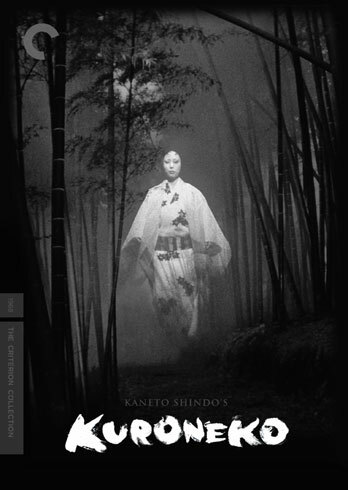 Criterion timed its DVD/Blu-Ray edition to come out in time for Halloween, and Kuroneko is perfect for the spooky holiday. With the lights out, the astonishing high-def transfer creates the right kind of spectral glow. The restoration job is beautiful. 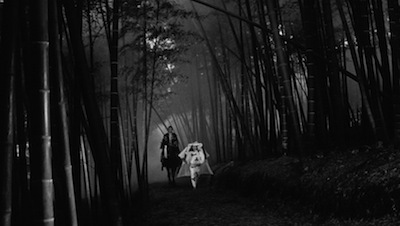 Extras are few, but meaningful, including an interview with director Kaneto Shindô. Even the cover art is designed to have an eerie aura. You can't tell from the image below, but the actual cover was printed with a silver ink so that the ghost appears to be floating out of the background. One of the best Criterion releases of 2011, sure to be a sleeper hit. Please Note: The images here are promotional still and not screenshots from the Blu-ray edition under review.